Rock & Metal in my Blood has had the pleasure to chat with Bobby Gustafson, the founder member of Satan's Taint and historic ex-Overkill guitarist. Bobby talked to us about the past, present and future, about his new band and musical collaborations, going into detail and revealing interesting behind the scenes information. R&MIMB: Let's talk about your current project Satan's Taint, how did this come about? Bobby Gustafson: Well I guess it was mostly from talking to fans and friends on Facebook and they wanted to hear more music from me. I had no plans to play out or put a band together and deal with that drama all over again so what I did was to use different musicians so no one was permanent if they didn't want to be, or if it just wasn't clicking. R&MIMB: Can you introduce the other members of the band? Bobby Gustafson: The one member whose talent I've used the most is drummer Jim McCourt. On the first EP I had Paolo Velazquez singing. He also sings on two of the tracks on the new one. Blue Heavener also sang one as well as Jorgen Kristensen. The new EP also has Dan Ortega singing, Chris Dino on drums as well as producer Tim Lau. I did bass on the first EP and also on a few of the tracks on the new one. Rob Stokes and Brian Crean also played bass. R&MIMB: The band's first EP is "Songs For The Einherjar". How was the idea for this EP conceived? Bobby Gustafson: Well, I'm half Swedish and I was always interested in the Norse religion and history. I was just waiting for the right project to write about it. The new EP continues that pattern. Einherjar is a warrior taken from battle, and if he had fought bravely, to the halls of Valhalla to feast and drink forever until Ragnarok. I may go Italian on the next one. R&MIMB: It seems that the EP is inspired by the Vikings. What is it you like about that culture? Bobby Gustafson: I just find them very interesting. The religion of Asatru which pre dates Christianity, the making of ships that could tour the world, they did much more than just pillaging for riches. They have many things that are still used in our culture today. R&MIMB: Do you plan to tour with Satan's Taint and will you release more records? Bobby Gustafson: I will play a show if it's worth it. To play around town is a waste of time. I like to record 5 songs or so at a time, it's just easier. R&MIMB: You appeared as a special guest on the last EP by Paralysis, young thrashers from New Jersey. How did you get to collaborate with them? Bobby Gustafson: They just contacted me on Facebook. I've been asked several times to play with bands but it has to be when I have free time, so I just said yes and went for it, they were big fans so why not. R&MIMB: In 2012 you collaborated with Italian band Satanika, playing the guitar solo on the track "Abduction". What can you tell us about that experience? Bobby Gustafson: It was the same as before, they messaged me on Facebook. This was my introduction to being able to live in a different area and also record for someone. I really loved the idea of being able to do that. It was a great song and I loved the solo and it really started me thinking about being able to do Satan's Taint. R&MIMB: Going back to your time in Overkill, how would describe it and what is your fondest memory of that period? Bobby Gustafson: I guess the best memory was that after all the work in the clubs, carrying gear around and all the late nights, was finally getting signed. It cemented us in history when we did the first record. Also going to Europe and Japan for the first time. R&MIMB: Which Overkill album did you contribute to the most to as regards the songwriting? Bobby Gustafson: I'd have to say The Years of Decay, that's 100% me. That and Taking Over. D.D. had a few riffs on Under The Influence but I didn't like the Anthrax feel of them, they were way to upbeat and happy. That's why I really was in the mindset of doing TYOD and making it much darker but UTI has some classic and real heavy stuff on it. It's just unfortunate that the first two albums ,mostly Feel The Fire didn't sound better. I think we could have been bigger sooner. R&MIMB: Which of Overkill's records do you feel most proud of and why? Bobby Gustafson: "Years.." had it all. We went to a better studio, we had a different producer and I insisted that the guitar was going to be my sound and everything else will have to work around it. Terry Date agreed and that was great. Sid was killer with his drum sounds and we finally had total control from start to finish. Terry and I worked very closely on things and we were at our best. To this day they never topped that album, even if they stole my tone for their 5th album, it just wasn't the same and the fans knew it. R&MIMB: You said that you would share the stage with Overkill again only if D.D. Verni apologized to you. What do you mean by that? Bobby Gustafson: Well I must have been joking. I will never play with them again. They stole from me back then and continue to steal from me till this day. They haven't paid me for the use of my songs for the past 30 years and now they are even re-recording Feel The Fire live. I've never seen a band claim so adamantly that they don't live in the past, yet most of their set list is from the first 4 albums I was on. They have had so many albums after me and never play songs from them. I just can't play happily with backstabbers and liars. R&MIMB: You have always used the Gibson Flying V, what attracts you most to Gibson guitars and in particular the Flying V? Bobby Gustafson: I love all my Gibsons. They were the only guitar company that wanted me back in the day. And they are the best. There is just so much wood and tone on the V that I have. I love to record with and play live with my V's and Explorers. R&MIMB: know that back in the day you were friends with James Hetfield. Are you still in touch? Bobby Gustafson: Not so much. He is a family man now and I have to respect that. We were two crazy fuckers back in the day. We hung out a lot either on the East or West coast. We run into each other here or there. I will probably be giving him a guitar from my new company soon so I'm sure we will talk. 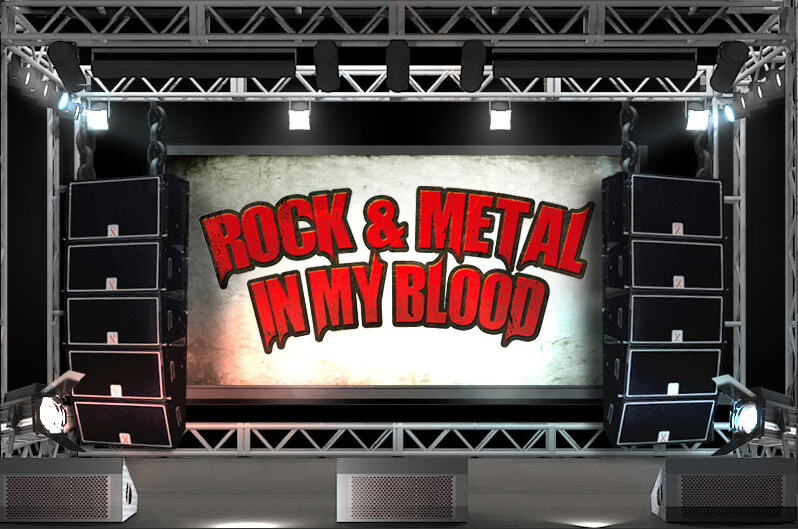 R&MIMB: So we are in the midst of Festival Season here in Europe, what do you think of the metal festivals over here? Are there any European festivals you would like to play at but haven't? Bobby Gustafson: I would play any festival. That's the one thing I missed out on. Thrash bands were not really included on the big ones back in the day. Now there are so many. I just love crowds and playing outdoors is always cool. Europe has one a week now it seems. R&MIMB: We heard you have a love for Harley Davidson motorcycles, what does the motorcycle symbolize for you? Bobby Gustafson: One word.. freedom. I love hearing nothing but the motor roar. There is also a whole biker culture which is very similar to the Vikings. Once a rebel always a rebel! R&MIMB: Do you have anything you would like to say to our readers? Bobby Gustafson: Yes...I want to thank them for continuing to follow me and want to hear music from me after all these years. Nothing would be worse than to be a forgotten page in the metal history books. As long as they want to hear me play I will keep doing it. I've played guitar since I was a child and it's a gift to have an audience, many musicians don't appreciate that. Interview by Yader Lamberti, Lorenzo Mortai. Edited by Lucia Rossi and Amy Louise Hamilton.